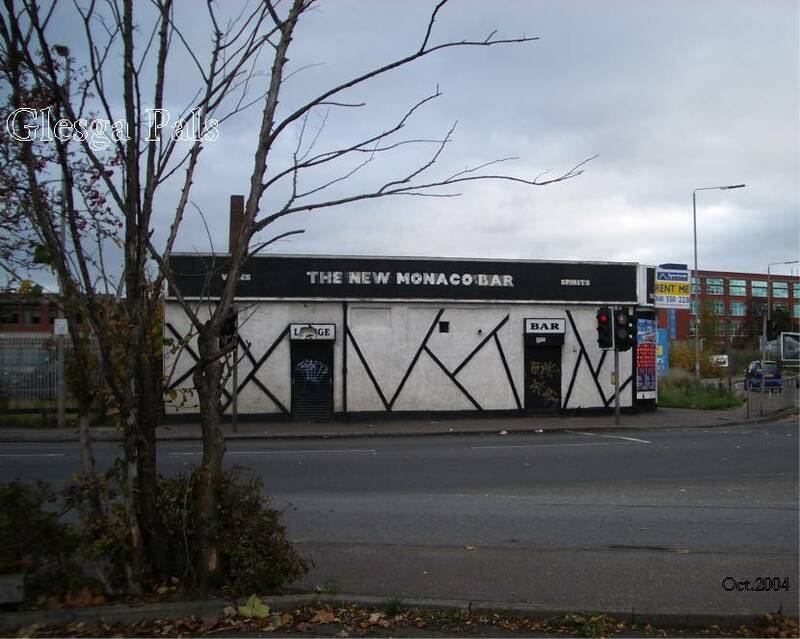 Some Glesga Pals have fond and not so fond memories of the 'Monaco Bar'..
Singer, Ian Hollis is now dead but was very well known in Bridgeton.. He came from Green Street.... 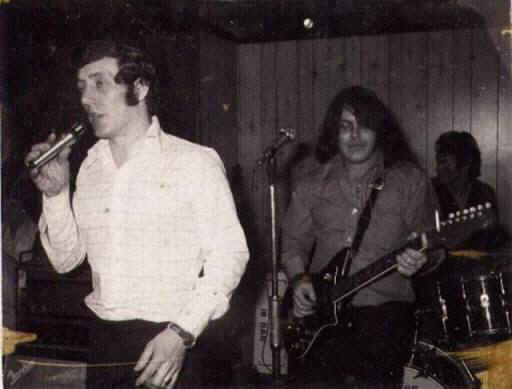 I am the one with the long hair.. playing guitar just behind Ian. It would be interesting to know if, after all this time we are still remembered.. so could this photo be posted? Suffering now for all the fun we had back then.... Now got health problems etc.... . but.... I would do it all again! Ma Mammy used tae work in the Monaco Bar in the early eighties at that time it wiz Big Frank and Margaret who owned it. Ah dont know their second name but Margaret wiz Margaret Todd frae Madras Place and related tae me through ma Stepda. Ibut ma Mammy liked working therr and liked the folk that came in, she said they were aw characters in their ain wiy. Ma Mammy wrote a big long poem aboot aw the people that drank in therr when she worked therr, a went therr wance and personally the decor left a lot tae be desired. commenting on the types of play I think he's jist a nagger. but big Frank always seems tae get right oan wee Margaret's nerves. I wonder if its all because he's fu' of the German Beer. but if he's stiys in that coarner much longer he'll become a permanent fixture. you get the Country & Western cowboys and the golden oldies ring. but methinks his ta-ra-ra-ra-ra-ras are a wee bit oot of time. he left the Weavers tae come here cos the Monaco's better bevy. He's oan the social and poverty stricken but he's aye goat the price of a beer. Jessie Fitzsimmons ( nee McKay ), was born on 24 Jan1929 she was married twice and had six weans, Helen & Jessie to her first husband James Wilson Cairney and twins Charles & Betty and Thomas to her second man James Fitzsimmons who came from Madras Street. Jessie died on 2nd August 2000. I remember the Monaco from the late 50's when the Arcadia Picture Hall was open opposite it and the Monaco was still part of a three-storey tenement. There was a knitting shop beside it too and on the opposite side at Templeton's corner a large Cafe that sold good Ice Cream. For years latterly, it had cut-price beer. Now, it is empty and I think for good. 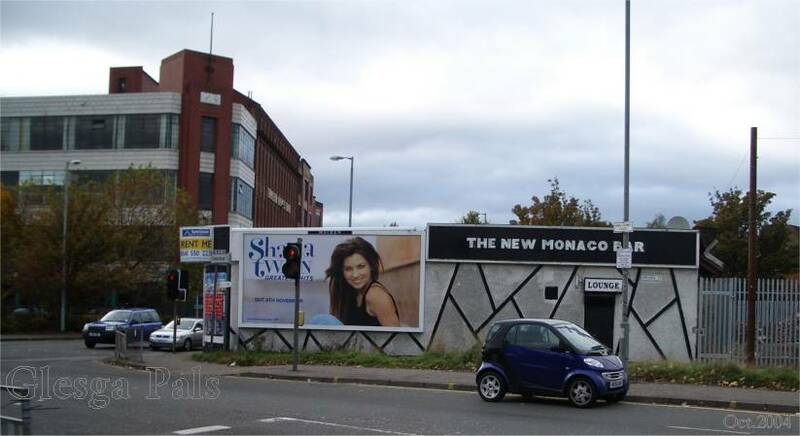 'New Monaco Bar' lounge entrance from Abercromby Street, Templeton's building in the background.